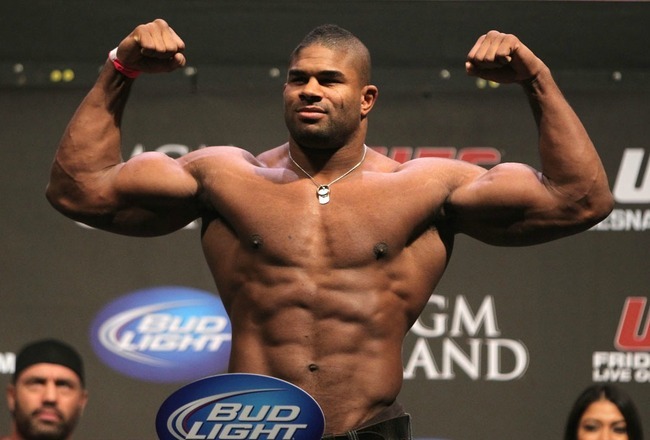 Overeem failed a recent pre-fight drug testing by the NSAC and is set for a hearing with the Commission on April 24th. Overeem had an elevated testosterone to epitestosterone levels to a level of 14:1, much higher than the 6:1 allowable limit of the NSAC. If Overeem submits a clean “B sample”, this whole issue will be forgotten and his fight with Dos Santos will push through, with out any delays.